Francesca Cabrini was born in Italy in 1850. Several orders denied her application to enter religious life in her teens. Why? Health concerns. It didn’t stop her from dedicating her life to God. She served as a teacher. Then she was called upon to run an orphanage at age 24. Five young women assisted, and they organized themselves into a community, taking vows in 1877. At that time, Francesca added Xavier to her name, honoring the Jesuit companion of Ignatius who went to evangelize Asia in the mid-16th century. Her bishop authorized her leadership of a diocesan foundation, the Institute of Missionaries of the Sacred Heart of Jesus. “Missionaries” gave some pause for concern, but Francesca had a desire to follow the path of her namesake and go to the Orient. But needs of Italian immigrants in the Americas were more on the minds of bishops and bureaucrats in Rome. Archbishop Corrigan in New York had not expected his request to be so quickly filled. He actually suggested Mother Cabrini return to Italy. Sensibly, she refused. Eventually they became friends. Mother Cabrini had a friend in the highest cathedra. The Missionary Sisters were called to many apostolates in many places. Not just pastoral care of Italian immigrants, but orphanages, hospitals, parish schools. Not just New York, but other cities in the US, as well as Latin America and Europe. 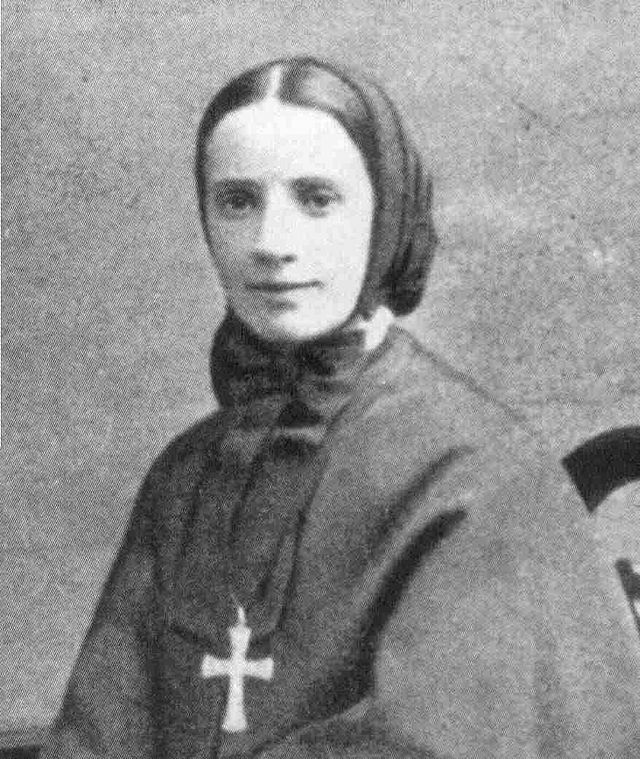 Mother Cabrini became a naturalized American citizen in 1909, and was the first American citizen to be named a saint. A good biography is here. This worthy woman suffered more rejection from women than from men. Maybe there are good reasons for being worried about the health of a potential member of a religious community. Or perhaps not. Maybe we could be more focused on saintliness of the heart rather than physical aspects of the body.